We are thrilled to have such a diverse and interesting class of Dream Award recipients! April’s story continues our series on each of the ten 2017 students. Throughout the next few months we will be posting more stories on a bi-weekly basis featuring these amazing individuals. Check out previous student stories by visiting our Success By Degrees blog. When prenatal tests indicated a higher likelihood of April Lewis being born with a birth defect, the doctors highly recommended that her mother terminate the pregnancy. Though a potential of a life filled with doctor appointments and medical tests loomed over the family, April was born a beautiful, healthy baby girl. That baby girl grew up in single-parent household on the east side of St. Louis, MO. Her mother continued to work a number of jobs just to put food on the table and keep the lights on in the house. Meanwhile, April worked hard in school—from a very early age she knew that the only way to overcome her circumstances was to earn a degree. She also invested a lot of time in programs like Student Government and National Honor Society, becoming the president of both groups her senior year. On top of it all, April also balanced her academics with part-time jobs to help her mother out financially. During her junior year of high school, her mother was hospitalized. Even though her extended family lived across the Mississippi River in Bellevue, IL, April spent a lot of time at friends’ houses just to continue going to school. Between her uncertain living situation and the emotional stress of her mother’s illness, April found her grades suffering. Fortunately, thanks to members of her community who stood beside her, she was able to bring them back up to par before the semester ended. Eventually April’s mother was also discharged from the hospital, but she wouldn’t be able to return to work. While college was always on the radar for April, she never quite knew where she would end up. She loved the idea of attending Spelman College in Atlanta, but was unsure if she could pay for it all without placing her mother in a financial crisis. If her college goals were going to be actualized, April knew scholarships were going to be the only way she could make it happen. Scouring the internet, April applied to every scholarship she could find. “A thousand dollars doesn’t seem like much, but they really do add up,” April explained. Earning several scholarships totaling $8,000, April was able to pay for her first year at Spelman completely. But, as she was nearing the end of her first semester, it dawned on her that only two of her scholarships were renewable. That wasn’t going to cut it for the next year, so nearing the end of November, April started looking for scholarships again. That’s when she found the Dream Award on Scholarship America’s website. “I saw it and I was just like, ‘I have to. I have to go for it,” she said. Her efforts paid off and were celebrated with a lot of screaming in her dorm room once she received her “Congratulations” notice. “I just felt really happy and really relieved because like I felt like a financial burden had just been lifted off my shoulders,” she said. 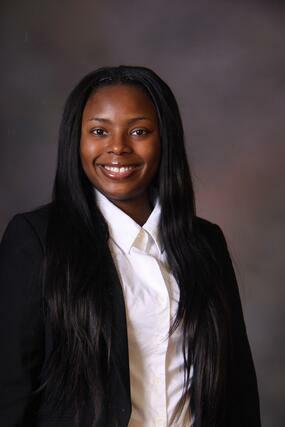 April plans to finish her healthcare and pre-medical degree at Spelman College. After that, her goals are to attend medical school, become a reproductive endocrinologist and provide accessible reproductive healthcare to minority populations. After hearing about how her mother was treated during her pregnancy, April wants to make sure that all people, regardless of their economic status, receive the support and medical care they need to make informed decisions regarding their bodies. At the heart of it all, April just wants to be a good doctor, and with her hardworking and determined spirit we know she will be.